Owl and Monkey from I Have a Balloon are back! But what happened to Owl’s balloon? Find out in this hilarious picture book about making mistakes and finding forgiveness. Kirkus Reviews praised Owl and Monkey’s first adventure, I Have a Balloon, “This tightly paced narrative soars,” in a starred review. In this sequel to I Have a Balloon (BCCB 9/17), Owl foolishly leaves Monkey in charge of Owl’s favorite red balloon, but Monkey roughhouses with it until it pops. Upon Owl’s return, a guilty Monkey tries to fob off other objects, such as a chair and fire truck, on Owl, but none of these are the balloon that is “big and red and flies in the air.” When Owl discovers the truth, his tantrum, unbeknownst to Monkey, destroys Monkey’s favorite sock, so when Monkey suggests they play with the sock instead, it’s Owl’s turn to deceptively cover up his mistake. Monkey and Owl’s childlike antics are giggleworthy, and children will sympathize with the characters’ attempts to hide their wrongdoings. Magoon’s thick, markery lines deftly convey the character’s histrionic emotions; extensive full-bleed washes of blue and red emphasize the strength of Monkey’s guilt and Owl’s anger and sadness over the lost balloon, and Monkey’s eventual confession and apology are splayed urgently across the page in ragged font. The book doesn’t offer magic solutions to the destruction of the animals’ favorite items, but it does provide a lot of sympathy for a situation that kids will readily recognize. The tale thankfully avoids a preachy message about forgiveness or honesty about one’s mistakes, but it implies that a guilty confession will come sooner or later, and it may be better to let it out sooner. 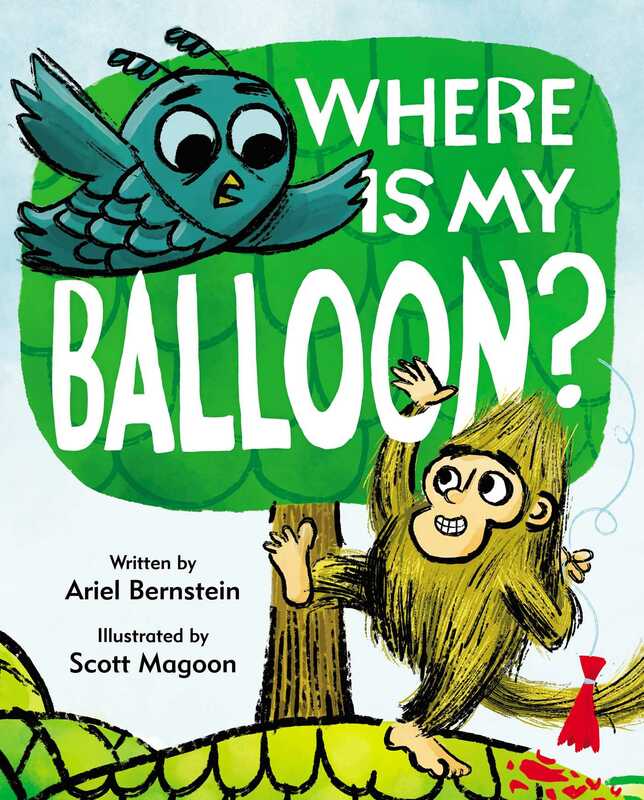 Book Cover Image (jpg): Where Is My Balloon?